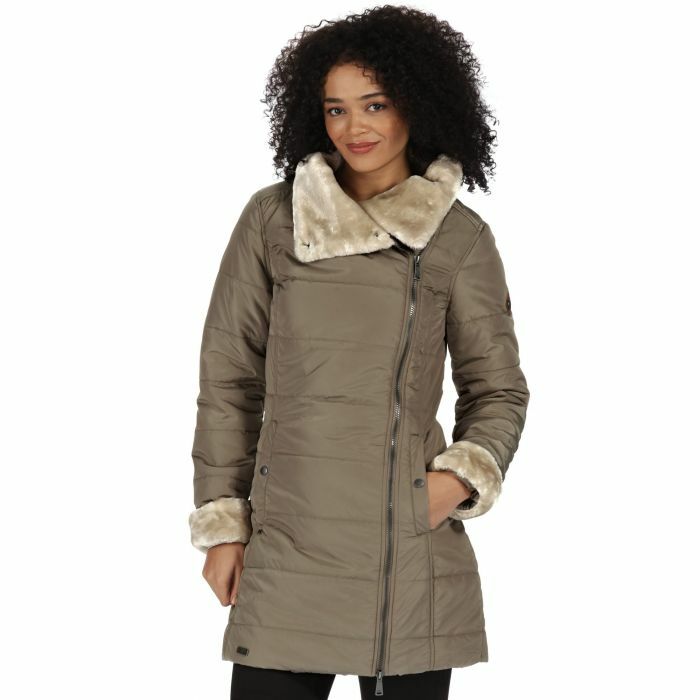 Long line winter coat with oodles of style and performance. The Penthea is made from high-shine, showerproof fabric lightly quilted with our warming Thermo-Guard insulation. Curved seam lines and the asymmetric zip fastening give structure and a flattering shape. The snug poppered collar and cuffs are lined with beautifully soft short pile 'faux' fur. With lower pockets to stow away your essentials and our 1981 heritage badge on the left sleeve. Service: I will always be tempted back to Hawkshead as they give such a good and professional service. Product: Regatta walking pants - lightweight, perfect fit and really good value. Love them. Service: The coat ordered is really nice and I would recommend to others. It was in the sale and was exceptional value. It arrived in good time although I found the delivery service impossible to track - this didn't present a problem though. Service: Excellent service and quality of item. Product: Excellent quality, great colour!